This is an updated e-version of the popular print book (print book is sold out). 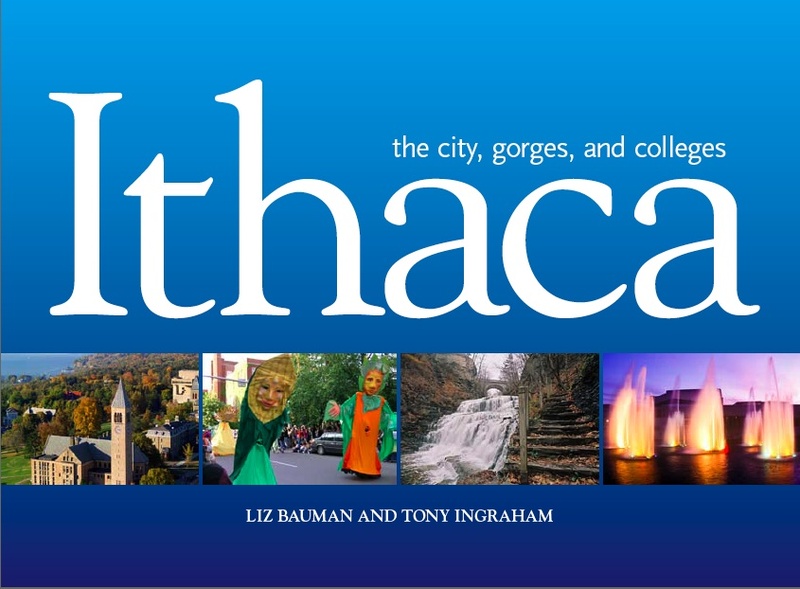 More than 200 color photos and descriptions of the city of Ithaca, the gorges and waterfalls, Cayuga Lake, Cornell University, Ithaca College, and historical highlights capture Ithaca's spirit. The book's 128 pages, appealingly designed in two-page spreads, are beautiful—from the waterfalls and rock pools of the gorges to the historic stone buildings on the Cornell campus to the excitement of the Ithaca Festival. Current and former residents of Ithaca, N.Y., Cornell and Ithaca College students, alumni, and visitors will delight in the scenes and stories. For a preview of several pages, hit the PREVIEW button on the book cover's upper right.